Are you move your blog to WordPress? Are you create your blog by WordPress CMS? Are you confused to choose which plugin I should use? If yes, then this is right post for you. Here I listed must have WordPress plugin which you should use for your blog. 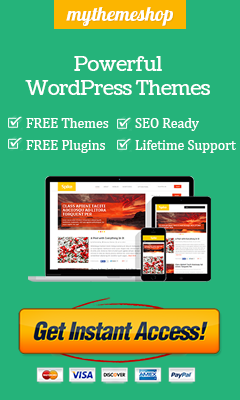 WordPress is a platform where many plugins are available for free. You should not need to any skills of coding. Many plugins available for free and some plugin you need buy for using. Here I will share free & premium plugin which are used by the expert. Jetpack is an official Plugin by WordPress.com. It has more than 27+ features like contact form, custom CSS, Gravatar Hovercards, Mobile Theme, Publicize, share option, etc. You can also improve the security of your website or blog by using this plugin. Akismet is a WordPress Plugin which filters spam comment. Every WordPress blog must have the plugin. It is the best Best WordPress Plugins for filter spam comment. It is developed by Automattic Airline. Do you know WordPress is not SEO friendly? So, if you have blog or website on WordPress. You should use this plugin for the better search result and get traffic from the search engine like Google, Bing, Yahoo. Every blogger wants traffic and driving more traffic to your blog is not an easy part. You should care about SEO. Yoast SEO plugin will help you to optimize your blog. After Installing Yoast SEO, You should configure it very carefully. The wrong configuration will make your blog negative result. So, I wrote a post on setting Yoast WordPress SEO Plugin. W3 Total Cache alternative of WordPress Plugin WP Super Cache. Its optimized web pages, files. It is also supported CDN. Every blog must have a contact page, for user communicates to admin or author. You can use Contact form 7. This way helps user input name, email, website, etc. WPtouch mobile plugin is best for mobile. It’s automatically add a mobile theme for mobile visitors. Every blog must have a sitemap. It helps to search engine crawl your website faster. It is te roadmap of your site. Google XML Sitemap is the best plugin for generating a sitemap. If you want to use your website as a social network site, then I recommended this plugin. WordPress is memory crash software. Sometimes its delete your all post. So, you should need to maintain your database safe. You should backup your database every day. UpdraftPlus Backup and Restoration is the plugin which has the feature. If you like this post or its help to you, then share on social.